Stock Bag Styles in Assorted Sizes & Colors. Overnight Delivery Available. 1,000 Unit Minimum from Stock Inventory. Maximum 2 Spot Color Imprint. 3,000 Unit Minimum. Custom Manufactured & Imprinted to Your Specifications. 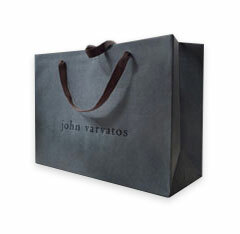 European style paper shopping bags offer the greatest number of base materials, printing and structural options. 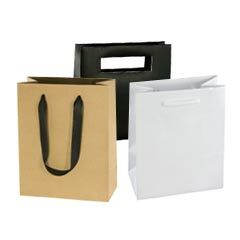 Euro totes can be manufactured in any shape or size and have the widest range of printing capabilities. 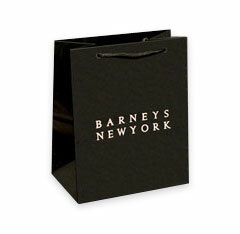 Euro bags can be printed offset, heat-stamped, embossed, silk-screened or in any other printing process. "Sheet-fed" Euro bags begin the manufacturing process as sheets of paper, affording these bags the option to either be hand-crafted or automatically formed by machine. 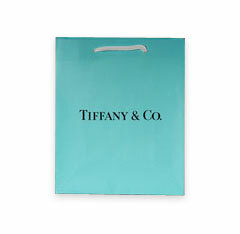 This makes the Euro tote bag graphically superior to other styles of shopping bags. With the highest promotional value, look and feel. 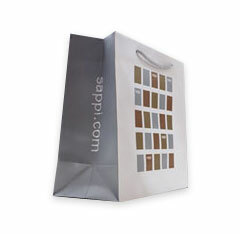 This bag is suitable for any project, from designer boutiques to larger scale luxury cosmetic and fashion retailers. Beater Tint: A color pigment / dye is added to the pulp in the beater during the manufacturing process. The alternative is to print tint, where paper is printed on one or two sides with 100% ink coverage. Beater tinting adds color to all the paper fibers, not just the outer surface. So paper is tinted evenly both inside and out. Beater tint colors permeate paper 100% throughout - so there are no white edges showing. 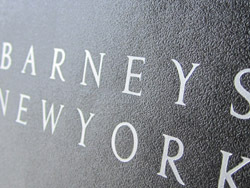 In addition, signature papers can be matched to any PMS color and embossing textures. Typical minimums for custom beater tinting paper is 10-20 tons, stock is less. The quantity of bags for this volume of paper would vary based on size. 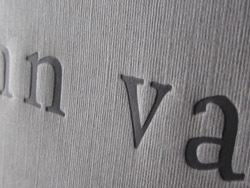 Modern Arts also offers a large selection of pre-printed designer base materials in many colors and textures. Coating: Just as unique as the tints themselves, our signature papers offer different types of coatings. Including matte or gloss lamination or varnishes. ECO-friendly and environmentally safe UV VOC varnishes available. 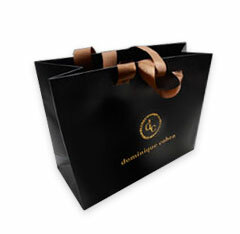 Typically overseas Euro bag production is the most economical option. 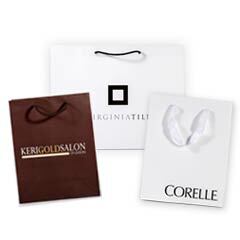 Bags can be made in any shape or size and custom imprinted from 1-8 colors, hot stamped or embossed to meet your specific design needs. A wide variety of custom handle options are also avaiable. Delivery: Approximately 30 days from ship date. Standard freight terms for overseas production are CIF Port of NY, CIF Port of LA, or CIF Port of Miami. Offers faster full custom manufacturing turn-around at an affordable price. 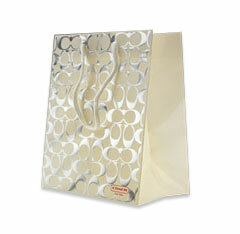 Bags can be made in any shape or size and custom imprinted from 1-8 colors to your specification. Delivery:Approximately 1-2 weeks from ship date. Standard freight terms are FOB Laredo, TX. Lead times are approximate and vary depending on quantities, season of year and freight variables out of our control.